Ocean Park supports Earth Hour organised by WWF (World Wildlife Fund), and will switch off most of the lighting in attractions and guest areas both at Waterfront and Summit, as well as illumination at back-of-house facilities and offices for 60 minutes from 8:30 pm to 9:30 pm on 19 March. Signifying an active participation in the meaningful event, Ocean Park also consistently takes initiatives to protect the environment through its operation and infrastructure development. 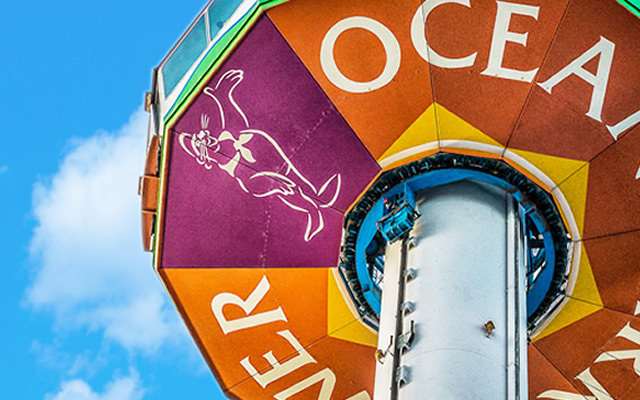 Ocean Park is the first tourist attraction in Hong Kong to have taken the initiative to equip facilities with Gas Absorption Chillers when developing new attractions and zoological facilities. Gas Absorption Chillers are distinguished by chilling without using CFC, (Chlorofluorocarbon, the commonly-used refrigerant for air-conditioning systems and contributes to the depletion of ozone shields) as refrigerant, resulting in zero damage to our ozone layer, lower carbon emissions, as well as lower operation, repair and maintenance costs. “Shark Mystique” and “Adventures in Australia” that were recently completed in 2014 and 2015 respectively, have been equipped with the gas-powered absorption chillers offering space cooling, water cooling and water heating to reduce carbon emissions by 30%. The efforts are also supplemented by recycling the water used to cool the chillers for flushing toilets. The gas-powered absorption chillers will also be installed in the forthcoming development of Water World expected to be completed in 2018. More than these, during the past few years, Ocean Park has been replacing the park-wide lighting to environmentally friendly LEDs. Over 14,000 traditional lights were replaced, at expiry of their lifespans, to LEDs for reducing heat emissions and cooling required, while contributing a savings in electricity costs of millions of HKD$ per year.